Deborah Adele DULUTH, MINNESOTA, U.S.A. 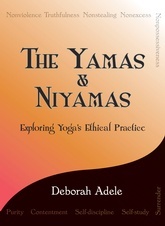 I had been scaling the wall of a sloppy mountain of books in my local bookstore when I found Deborah’s book The Yamas and Niyamas: Exploring Yoga’s Ethical Practice. 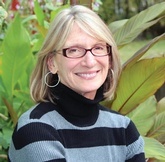 Of course this wasn’t really the case(just sounds fun), but within all the yoga books written about asana, Deborah’s was like a gleaming golden nugget that once grasped, helped me to exhale and breathe again. Deborah has such a graceful way of reminding us of our own wisdom; helping to connect the dots that were perhaps already beginning to form. 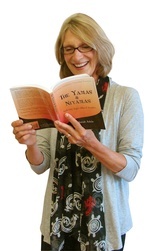 Her knowledge and deep understanding of the Yamas and Niyamas are her way of accessing this ability; almost as though their universal nature accesses what we all know if we just give ourselves the chance. Deborah began yoga thinking that yoga was asana and that those little anecdotal insertions on the Yamas and Niyamas confirmed that she was a good person ready for more advanced practices. It wasn’t until a workshop with Yogiraj Achala many years later, that the Yamas and Niyamas “came alive for me and I realized that paying attention to them was a life changing practice. Yogiraj made them real for me.” First she learned the concept of the Yamas…in a nutshell, “stop making things worse”; then, graduated to the Niyamas (she said with a laugh). They meet her with an understanding with every step and she hasn’t found this clarity before, “it’s the most compassionate practice”.